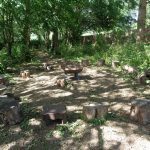 Forest school is an inclusive outdoor and nature learning initiative. 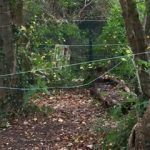 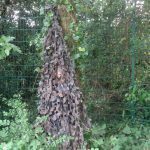 It gives children regular opportunities to play and explore the woodland area. 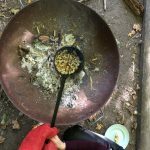 It teaches life skills such as risk taking and problem solving; it develops confidence, independence and self-esteem. 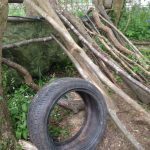 Forest School also encourages curiosity and creates an interest and respect for the natural environment. 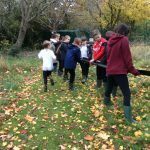 They took part in team building activities. 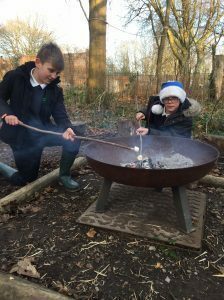 The team finished with a camp fire were they enjoyed hot chocolate and cooked pain au chocolat using a pizza paddle and roasted marshmallows using our forest sticks. 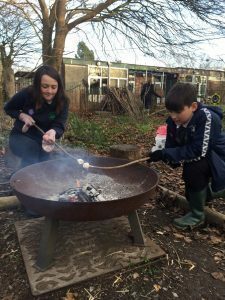 Last term, it was year 2’s turn to experience Forest School. 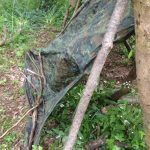 They had a lot of fun making dens. 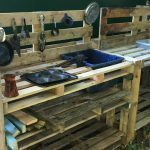 Some children learnt how to use hack saws and bow saws. 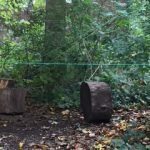 This proved very useful as they could saw wood to be used in their dens. 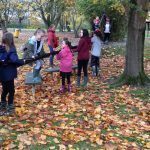 Lots of trees were climbed and a few children over came a fear of climbing, which is what it is all about – risk taking! 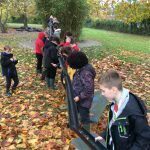 The smiles on their faces show that everyone had a great time! 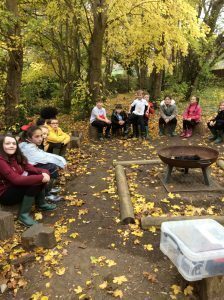 Some children learnt how to light a fire using a flint and steel. 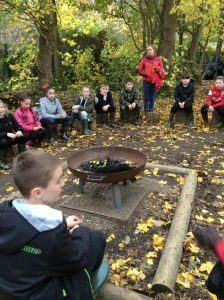 We then collected wood and had a whole class fire, which we cooked crumpets on!